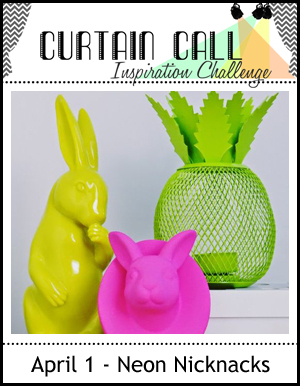 Please scroll down or click here to see my Pinterest Inspired Challenge post. so I decided to make a brightly coloured baby card using the colours from the photo. and then stamping the other stamps from the set around it in Raspberry Fizz. I stamped another bunny on a diecut in hibiscus burst and adhered it with dimensional adhesive. I stamped the sentiment in hibiscus burst and simply chartreuse. Oh, that is so adorable, Leigh! I LOVE all this bright neon color! What a super fun nontraditional baby design! You rocked the stamping. Love the background you made around that sweet wreath! Such a fabulous card! And your background stamping is absolutely amazing! Leigh this is awesome ! Love those neon colors !!! Very sweet card, Leigh! Love the fun non traditional take on a baby card! Such a happy card! I love the bright background!! How fun is that?! Love those neon colors! This is a perfectly sweet baby card! This is really awesome. I LOVE the pink background you created! So fun with the bright colors! Lovely card. The colors are fun and inspiring. I saw your name in a Cards magazine and wanted to stop by to let you know I'm thinking of you. Have a great weekend. Sweet card! Love this set. Love this card- it's perfect. Love the stamped background and the frame detailing! Great card, Leigh! Love, love, love. The background is fabulous Leigh! Love this amazing card Leigh! That hot pink is awesome!!! Fantastic folk art card Leigh. Love the hot pink images. Super cute. You rocked the insp. photo!! This is so cool and so well done!